Constructed of environmentally friendly, zero emissions solid wood, engineered to prevent warping and last a lifetime. 12-stage wood preparation, sanding, painting and finishing process. Highly water-resistant low V.O.C. sealed finish. Beautiful transitional styling that compliments any bathroom. Fully-extending under-mount soft-close drawer slides. Concealed soft-close door hinges. Faucet(s) not included. 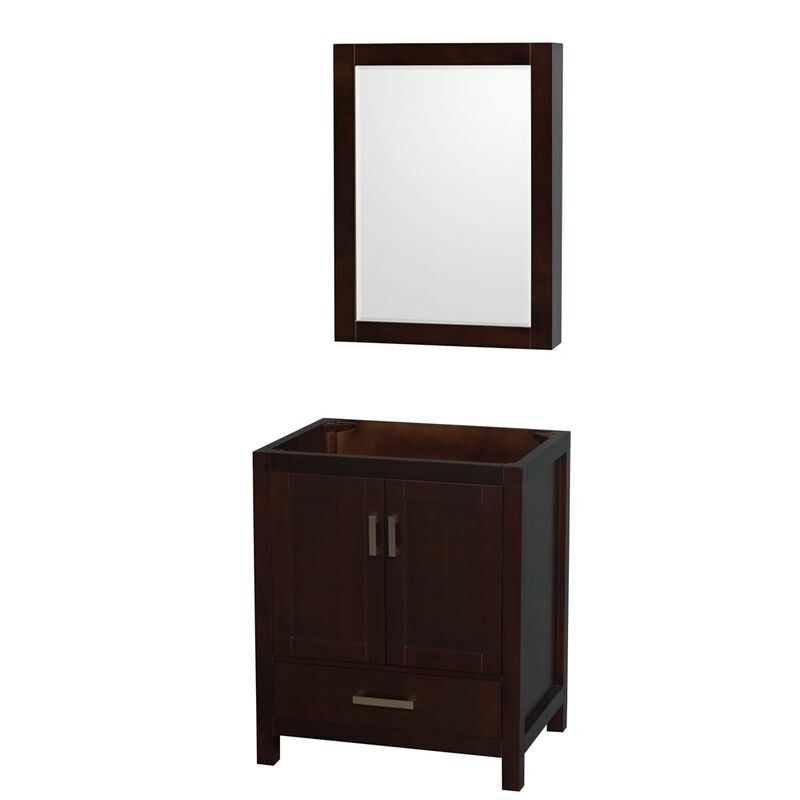 Vanity: 29" x 21.75" x 34.5"; Mirror: 24" x 6.25" x 33"